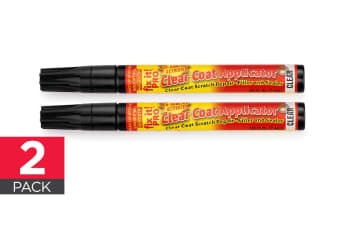 Read customer reviews of the Car Scratch Repair Kit (2 Pack). After a purchase, we invite our customers to leave a product review. The customer reviews for Car Scratch Repair Kit (2 Pack) are below. The products met my expectations. good product for the diy who just have small imperfections and want to restore it to a near normal condition and certainly beats paying spray painters all that money. Does the job for faint scratches. Easy to use.